The Lost and Found Club in Leeds is where the Calls9 team spent yesterday evening. 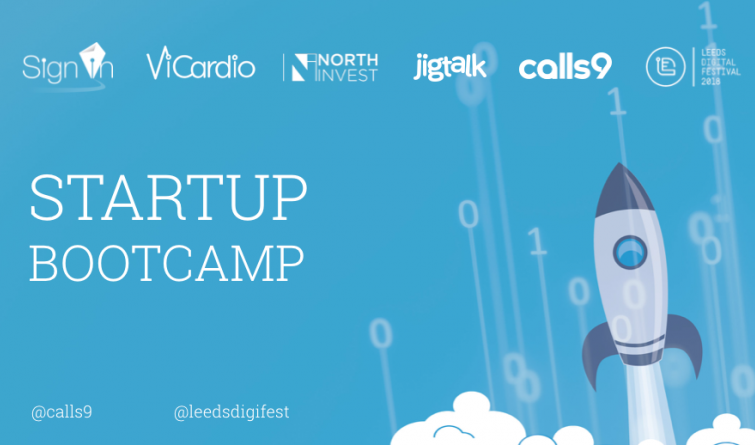 We weren’t there to prop up the bar though (OK, maybe for some of the time) but we were there for something very important - to host our very own ‘Start-up Bootcamp’ as part of Leeds Digital Festival. Expert advice and opinion Despite the scorching weather, we welcomed a large number of people to our sell-out event. Some attendees had already begun their start-up journey into tech, while others simply came with an idea they wanted to pursue. All were there to take advantage of the knowledge and expertise of our very talented panel. Alongside our CEO and Co-Founder, Adam Roney, we were joined by George Biddle (Founder and CEO of Signin), Dr David Pearce (Co-Founder of ViCardio) and William Schaffer (Investor Relations Manager and Entrepreneur Coach at NorthInvest). We even had a surprise appearance from Alex Durrant (Co-Founder and CEO of jigtalk). Develop a personal brand. Find your message, find your platform and live it, breath it, preach it. George Biddle, Signin. Good ideas fall victim to poor planning and execution. Prove to investors that you’re worth investing in by showing them you have a clear plan to get from A-B. William Schaffer, NorthInvest. Get validation that your idea is a good idea. Is there a real need for it? Find people to play devil’s advocate. Dr David Pearce, ViCardio. Give people what they want based on how they interact with your product, even if it’s not how you planned. The customer is right! Alex Durrant, jigtalk. Actually start something (don’t just have an idea), fail fast, understand the importance of pivot and keep going. Adam Roney, Calls9. You can find out more about our speakers and their journeys as tech entrepreneurs here. If you would like to attend one of our forthcoming events, including our second appearance at Leeds Digital Week in conjunction with Deloitte and Irwin Mitchell Solicitors, please visit Calls9’s dedicated events page.